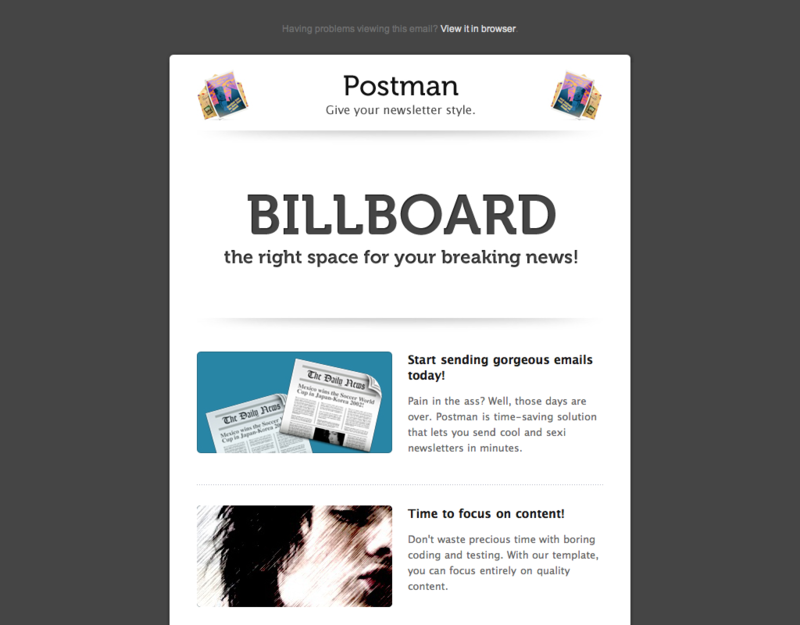 Postman is the stylish solution for your email marketing, newsletters and advertising. 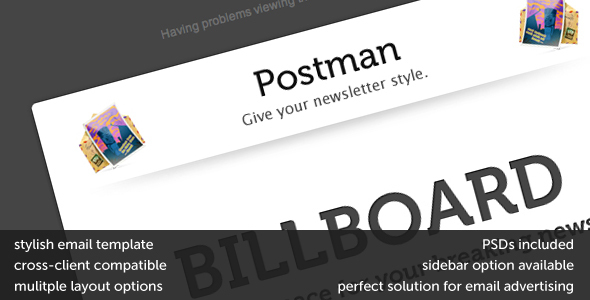 It comes with multiple layout options. See version with sidebar: Sidebar version. 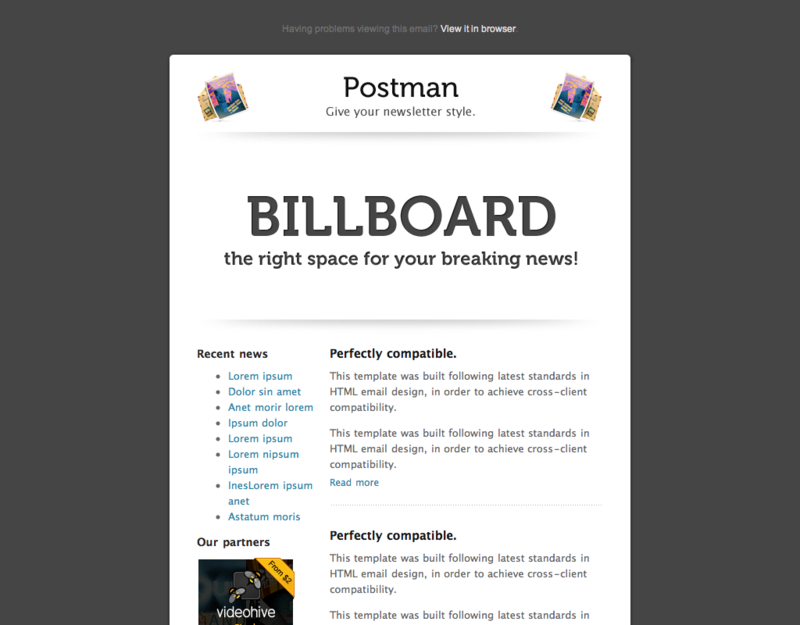 It is also cross browser compatible, so you dont have to worry about different rendering engines of mail clients. PSDs and doc file are included.